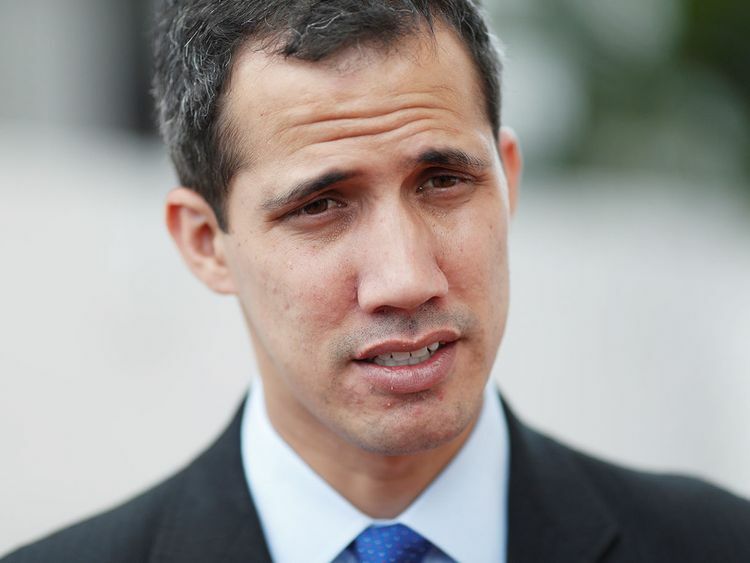 Caracas: Venezuela’s opposition leader Juan Guaido refused Friday to rule out authorising US intervention to force President Nicolas Maduro’s hand in allowing in humanitarian aid and leaving power. Guaido launched an audacious bid to oust Maduro last month, declaring himself acting president, a move recognised by the United States and some 40 countries, including 20 from the European Union. Under Maduro’s stewardship, Venezuela’s economy has collapsed leaving the country wracked by hyperinflation, recession and shortages of basic necessities such as food and medicine. “Venezuela won’t allow the spectacle of fake humanitarian aid because we’re no one’s beggars,” Maduro said at a press conference in Caracas. “We’re going to do everything that has a lower social cost, which generates governability and stability to deal with the emergency so we can recover public services,” he said. But bringing in humanitarian aid is crucial to Guaido’s challenge to Maduro’s authority. 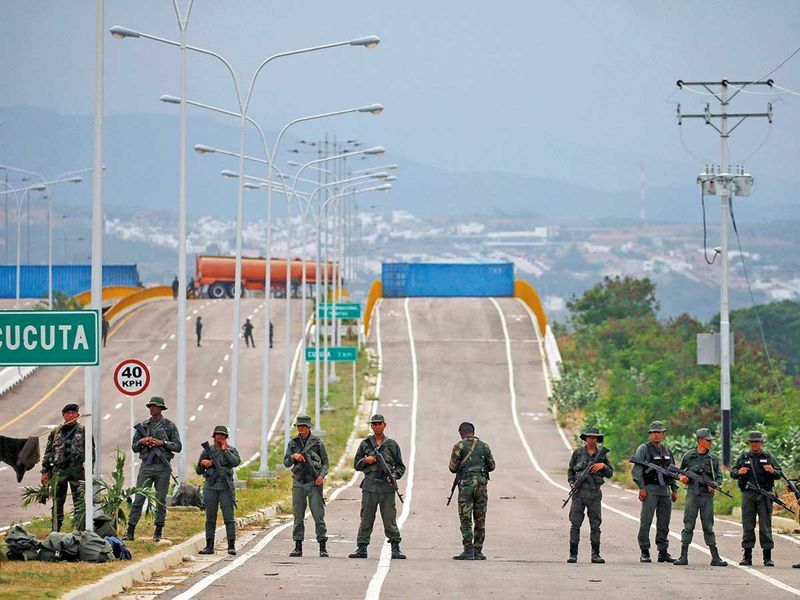 Several trucks carrying food and medicine arrived at a collection centre in the Colombian border town of Cucuta on Thursday. “Liberate the money that has been blocked and sequestered,” said Maduro, who has repeatedly accused the US of fomenting a coup. Guaido’s representative in Cucuta, Lester Toledo, said the provisions already delivered were the “first drops” and promised “a tsunami of humanitarian aid” would follow. “We’re going to open a humanitarian corridor and the doors to freedom,” he told journalists. Early Wednesday, a Venezuelan military boat carrying 100 tonnes of aid landed in Havana to help Cubans recovering from the wrath of a tornado. He claims his legitimacy from the constitution, but Maduro — labelled a dictator by the West and his Latin American neighbours — insists his re-election last year was constitutional. “We’ll do everything we have to in a sovereign and autonomous manner to end the usurpation, [establish] the transitional government and [hold] free elections,” said Guaido. The International Contact Group urged “free, transparent and credible presidential elections” in Venezuela “as soon as possible” to find a peaceful solution to the power struggle between Maduro and Guaido. He did welcome the Contact Group’s proposal to send a mission to Venezuela, though. On Friday, the Supreme Court asked the attorney general’s office to investigate alleged “criminal” conduct by Guaido and the legislature over the “usurpation of functions” that correspond to Maduro.